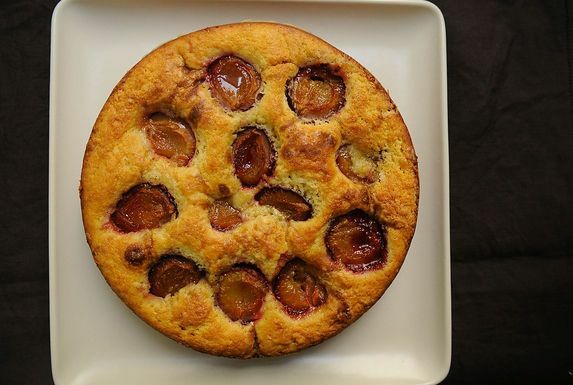 Congratulations to JSCooks, who won this week's contest for Your Best Recipe for Plums with her Late Summer Plum Cake. I think more than anything my cooking was influenced by sitting in front of the television, glued to Julia Child. She always appeared to be having fun, and she was never fearful of making a mistake. I loved to "play along" at home with The French Chef cookbook. Because I was young and fearless, one of my earliest baking attempts was a towering fruit- and cream-filled meringue Vacherin. Blue cheese. I've tried, but I just can't do it. Sour cherry pie. Can't get enough of it. As a child, I once roped my friend Emily into baking something from the Peanuts cookbook (I think it was Franklin's Jam Tarts). Not only were they a terrible flop, but I also managed to set the kitchen curtains on fire. My mother was not amused. Pasta with whatever vegetables are in season and a poached egg. The scene from When Harry Met Sally -- “I’ll have what she’s having" -- is classic. I also loved Like Water For Chocolate. And there are some great food scenes in Fried Green Tomatoes. I love the idea of cooking with others, but I think they generally prefer if I cook alone. You could say I'm not good at relinquishing control. Unless we're cooking and gabbing together, but each working on our own dish. That can work. Clean as I cook. Always. I don't mind making a mess but it doesn't stick around for long. 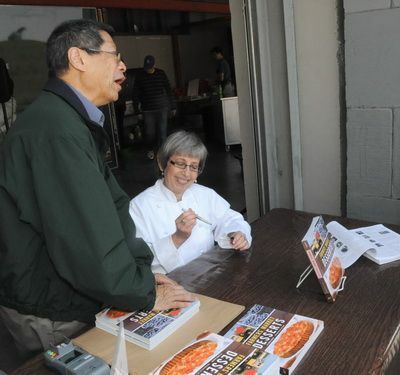 JSCooks at an event for her cookbook Farmers' Market Desserts -- which she developed her winning plum recipe for! Thank you all so much for your kind comments. I have already submitted a recipe in the corn contest, and this won't be the last you'll hear from me. Winning is very motivating! :) I'm sorry now that I didn't get started earlier. Though I have frequently looked to food52 for ideas, I hadn't realized what a wonderfully creative, talented, and embracing community has grown here. I'm honored to be a part of it, and I look forward to trying out and reviewing your recipes and contributing more of my own. In fact, I have a stack of macarons recipes sitting on my desk, and egg whites in the fridge, just waiting to find time to give them a go! So looking forward to trying out your lovely recipe - congrats! Congratulations on the win! So glad you are joining this community with your recipes. Congratulations! Looking forward to more of your recipes! 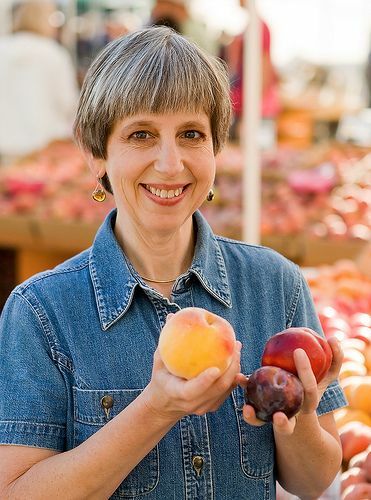 Congratulations on the win and thanks for sharing your fabulous cookbook recipes with Food52! PS – I can relate to sitting in front of the television watching Julia Child and “playing along”….totally!! I love the idea of cooking with others, but I think they generally prefer if I cook alone. Congratulations! I have been checking on all your accomplishments ....hope we see a lot more of your recipes! Congatulations. I have not made this cake yet but I will really soon because it looks wonderful. Dear JSCooks, I'm so happy you found Food52. Congratulations. I'm looking forward to seeing more from you.